Our prices may increase or reduce. We recommend early booing to obtain our best prices. We guarantee that online bookings made on our own website will be the same price as any third party website. 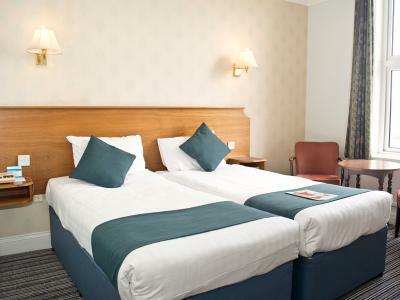 Standard double bedded room with en suite bathroom, TV & radio, complimentary tea & coffee, complimentary toiletries, direct dial telephone , free WiFi and hairdryer. All rooms are non smoking. Escape from your busy day-to-day lifestyle and enjoy the relaxing atmosphere created by the many fine period features of our lovely Torquay hotel. 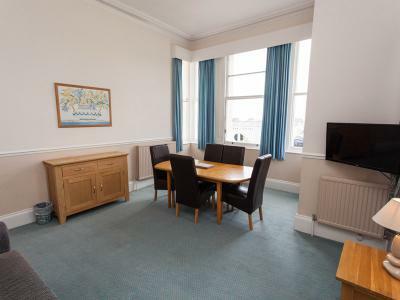 We are located a short walk from the nearest beach, attractive harbour and town centre. 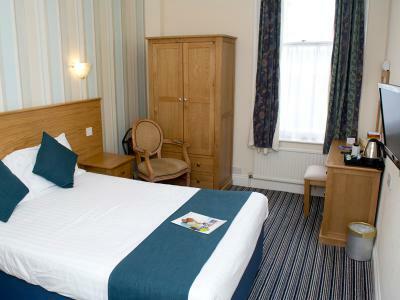 Standard twin bedded room with en suite bathroom, TV & radio, complimentary tea & coffee, complimentary toiletries, direct dial telephone , free WiFi and hairdryer. All rooms are non smoking. 1 bedroom apartment with double and single beds in the bedroom plus a double sofa bed in the lounge and fully fitted kitchen with full size cooked, fridge and microwave. Apartments have TV & radio, direct-dial telephone, hairdryer and free WiFi. Linen & towels are included. High chairs and cots are available upon request. Please note: apartments are situated in the apartment annexe adjacent to the main hotel building, the apartment do not have lift access.